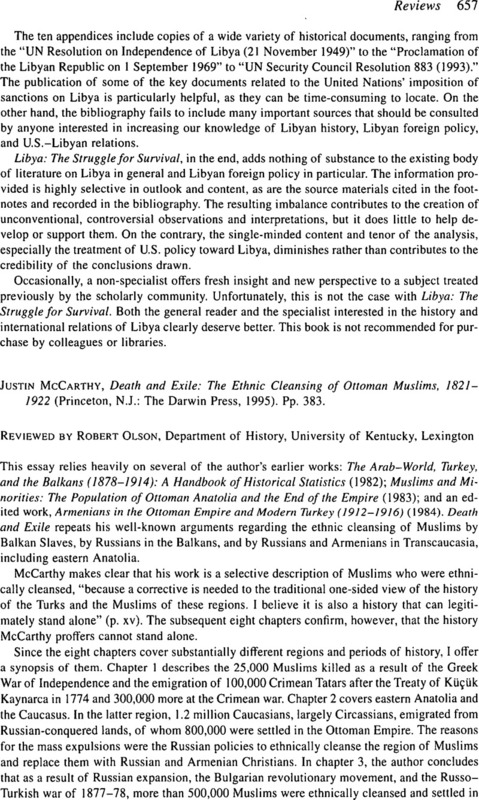 Justin Mccarthy, Death and Exile: The Ethnic Cleansing of Ottoman Muslims, 1821–1922 (Princeton, N.J.: The Darwin Press, 1995). Pp. 383.